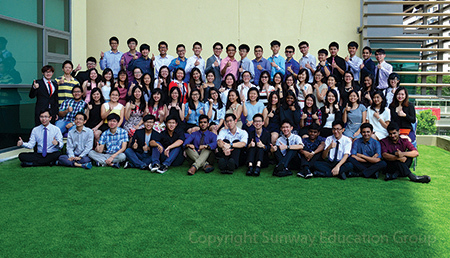 Sunway College A-level continues to shine in the June 2015 Cambridge A-level examinations. Of 390 total students who took the exams, 99.7 percent passed and 50 percent achieved straight As (3A*/As and above) with 195 straight A students. Sunway College threw a party celebrating the students’ success. Of the same cohort, five Sunway College’s A-level students have accepted the offer to study at the University of Cambridge and one will be heading to the University of Oxford. 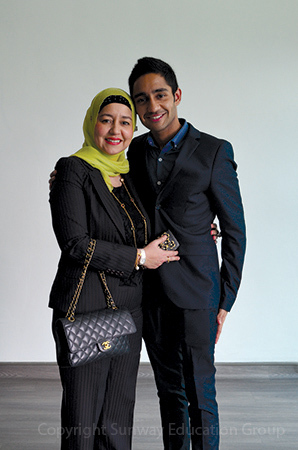 Danial bin Muhammad Syafiq Baljit is one of the five Cambridge boys. He will be flying to Gonville & Caius College for an undergraduate degree in Medicine on Jabatan Perkhidmatan Awam (JPA) full scholarship. 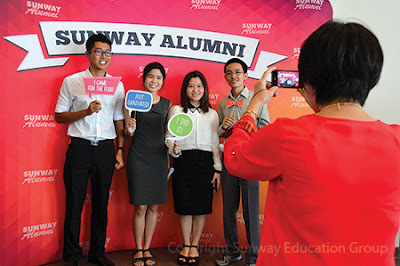 “A-level was difficult but I am thankful for the good support I have received from the lecturers and the college,” said Danial, who was also the President of Sunway College’s A-level Student Council. How Si Yu who took the subjects of Mathematics, Further Mathematics, Chemistry and Physics will be going to Oxford for his degree in Mathematics and Computer Science on the same JPA Scholarship. How Si Yu (right) taking pictures with his friends at the photo booth - the A-level tea party was also a farewell celebration. Hewawasam Puwakpitiyage Lakshan Sanjana who completed Mathematics, Physics and Economics with 3A* just started his BSc (Hons) in Accounting and Finance at Sunway University. 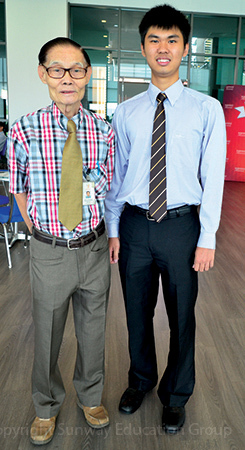 Lakshan felt that Sunway College’s A-level prepared him well with a smooth transition to university. He felt that his study at Sunway has been rewarding as he was exposed to many intellectually invigorating events such as the Jeffrey Cheah Distinguished Speakers Series public lectures where he felt privileged to have listened to the lecture by Professor Jeffrey Sachs, Special Advisor to the United Nations Secretary General Ban Ki Moon. 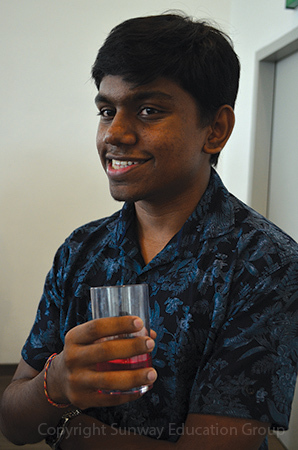 Lakshan’s twin brother Chamode Anjana also achieved straight As in the same A-level cohort with 3 As in Mathematics, Physics and Economics and A* in Economics. He is currently still considering his choice of universities. Supporting the event was Dr Elizabeth Lee, Senior Executive Director of Sunway University and Sunway Education Group. Elaborating on the weakening ringgit hitting the country, she wished her best to the A-level graduates with her hope in especially those continuing degrees in the UK to carry on with their “sterling performance”. She also expressed her wish for students to choose Sunway University as it offers a wide range of dual awards degrees validated by Lancaster University, ranked 9th in the UK. She professed that Sunway University will be a good option for good quality higher education in challenging economic times.